Business-focused archaeology. People-focused business. That’s what Headland represents, driven by our values and delivering the best we can. In March 2018, we gained accreditation from the Living Wage Foundation by making a voluntary commitment to pay the ‘real Living Wage’. This is a higher commitment and has a wider remit than the current UK Government’s National Living Wage, the legal minimum. 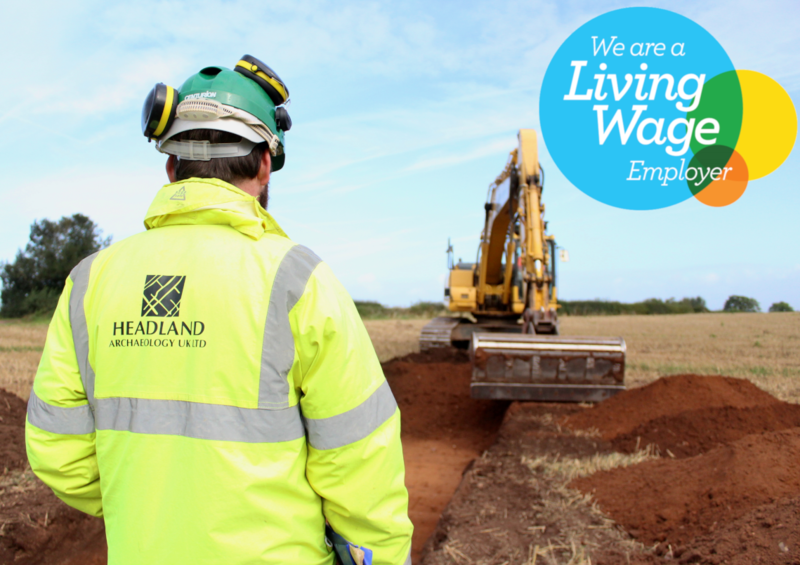 Whilst those working directly for Headland are already paid the real Living Wage or above, becoming an accredited Employer also means that we have to ensure that all third party contracted and directly sub-contracted staff that work regularly for Headland must also be paid the real Living Wage. Our people are our most valuable asset, and we believe that having a happy team means that our clients will receiving the best heritage services business can buy. Paying the Living Wage gives people fair reward for the work they do, and as a leading company in the sector, we want to encourage other businesses and organisations in the UK to follow, and become real Living Wage employers, too. The Aberdeen Western Peripheral Route/Balmedie-Tipperty Excavations are Published!